The Milan range brings substantial elegance to the modern bathroom. 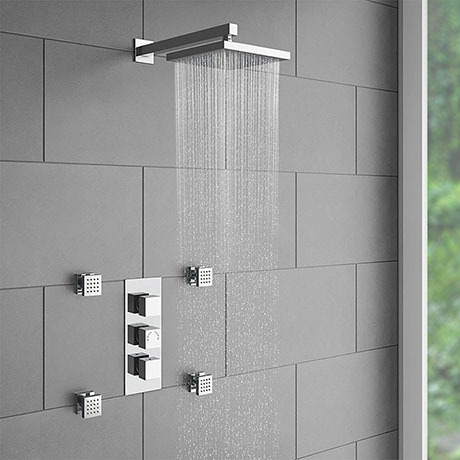 The triple shower valve enables you to select body jets for a quick freshen up or for a real drenching. Separate controls for temperature and flow. Operates two shower accessories separately or simultaneously: fixed head & slide rail kit, fixed head & body jets or slide rail kit & body jets.